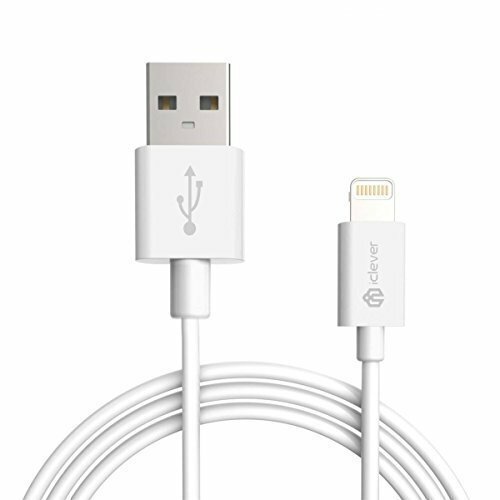 This iClever Lightning to USB Cable connects your iPhone, iPad, or iPod with Lightning connector to your computer’s USB port for syncing and charging or to the Apple USB Power Adapter for convenient charging from a wall outlet. Apple MFi certification ensures complete charge and sync compatibility with your Apple device. No compatibility issue again! At 3.3ft(1m), the cord length is ideal for charging and syncing in home, cars, office, and more. Portable and impeccable for hard-to-reach USB ports. – iPod nano 7th generation.